Author: Fleischer, M., Liker, J. This book provides all of the tools needed to achieve systems integration across organizational boundaries. The focus is on the methodology of work processes, people systems, and supply chain issues within the organization, and how these systems interface with concurrent engineering. 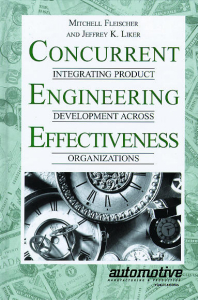 Also included are detailed case histories from leading companies such as Chrysler, Motorola, Toyota and Texas Instruments that can provide a blueprint for the successful implementation of concurrent engineering within your organization. The goal of today’s industrial facility is to exceed their customers’ expectations for quality in the products they produce, and the foundation for meeting that goal is the measurements (or control of the measurements) system used to determine the status of the quality. 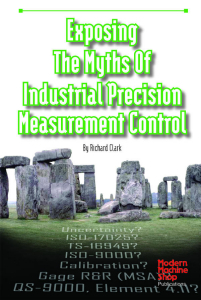 This book examines what national and international standards actually say, and don’t say, about the application and control of inspection measurement and test equipment. In easy-to-follow detail, it discusses how to build a strong system that meets both the letter (and the intent) of these standards designing, developing, implementing and maintaining an inspection, measurement and test equipment control system as required to achieve and sustain ISO, QS or TS certification.